Chanukah always overlaps with at least one Shabbat (if not two), and since Chanukah begins on the 25th of Kislev and lasts for eight days, the holiday always coincides with the celebration of Rosh Chodesh (the new month of) Tevet. (Rosh Chodesh is celebrated Friday, 1 Tevet.) This is significant because both Rosh Chodesh and Shabbat were loathed by the Syrian-Greeks and their observances were outlawed. The story of Hannah and her seven sons is a story of the Jewish resistance to Antiochus' attempts to Hellenize the Jewish people around 166 B.C.E. The king had him tortured to death and demanded the same of the second son. He, too, and each of his brothers after him, refused and was summarily executed. Finally, only Hannah and her youngest son remained. When the young boy refused to yield, he too was put to death. As her child lay dying, Hannah requested that, when he arrived in heaven, he remind Abraham of how he (Abraham) had been willing to sacrifice one son to prove his loyalty to God, while she had sacrificed seven; for Abraham it had been a test, for her it was reality. Pleading with God that she should be considered worthy to join her children in the World to Come, Hannah, fearing torture, jumped from a roof and died.By teaching her sons that there are times one must give up even life itself for the sake of one's beliefs, Hannah made a stand that resonates with all who hear her story. This Treat was reposted in honor of Chaukah. Rosh Chodesh Tevet begins after sunset tonight, celebrate with a special meal. 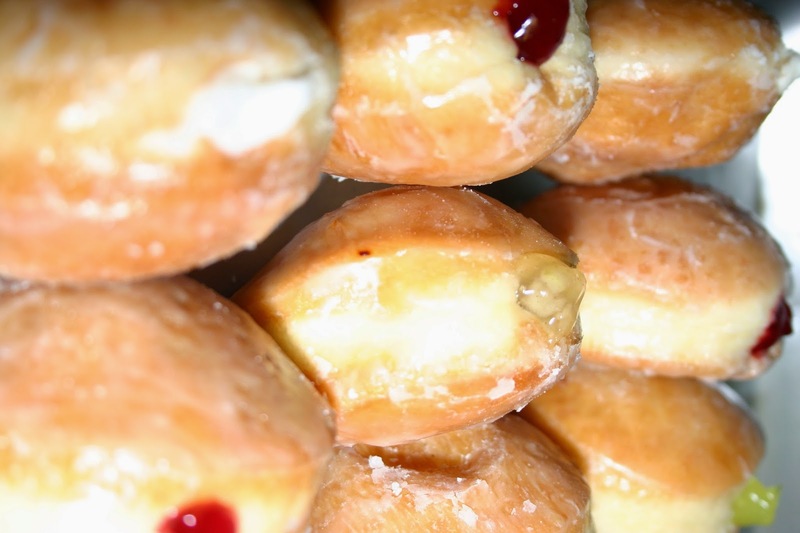 Enjoy a delicious fried treat in honor of Chanukah and the miracle of the oil. 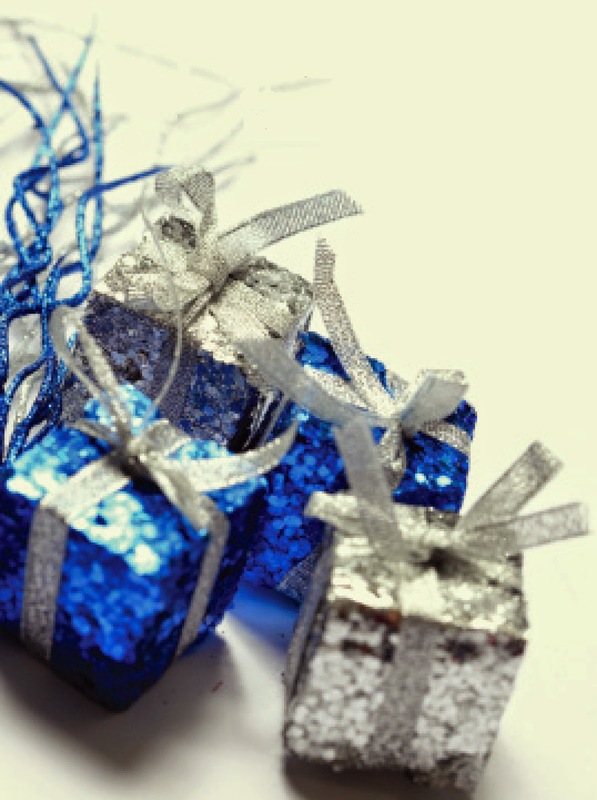 Add an element of fun to your Chanukah celebration. While a large number of Jews today light Chanukah candles, the more traditional custom is to light the Chanukah menorah with olive oil. This is done in order to most accurately recreate the original miracle. When God instructed Moses on the construction of the Tabernacle in the wilderness (the vessels of which were eventually placed in the Temple in Jerusalem), he specifically stated: “And you will command the children of Israel, to bring to you pure olive oil, pressed for the light, to cause a lamp to burn continually” (Exodus 27:20). “The first crop is when the fully ripe olives are picked from the top of the tree; they are brought into the olive-press, are ground in a mill and put into baskets. The oil which oozes out is the first kind [of oil]. They are then pressed with the beam, and the oil which oozes out is the second kind” (Talmud Menachot 86a). Olive oil, which burns slowly, cleanly and without an unpleasant odor, has many uses both in daily life and in Jewish rituals. Indeed, oil is one of the items that was offered with the sacrifices in the Temple. However, only the menorah required the purest shemen zayit zachfrom the first pressing. “If the candlestick, which does not need [the oil] for eating [but as fuel], requires pure olive oil, how much more do meal-offerings, which [need the oil] for eating, require pure olive oil! But the text states, pure olive oil beaten for the light, but not ‘pure olive oil beaten for meal-offerings’” (Menachot 56b). *It is interesting to note that the words shemen zayit zach, when written in Hebrew, are composed of eight letters, one of the many interesting allusions to Chanukah that are hidden in the Torah (as found on inner.org). Look for the miracles that occur in our every day lives. 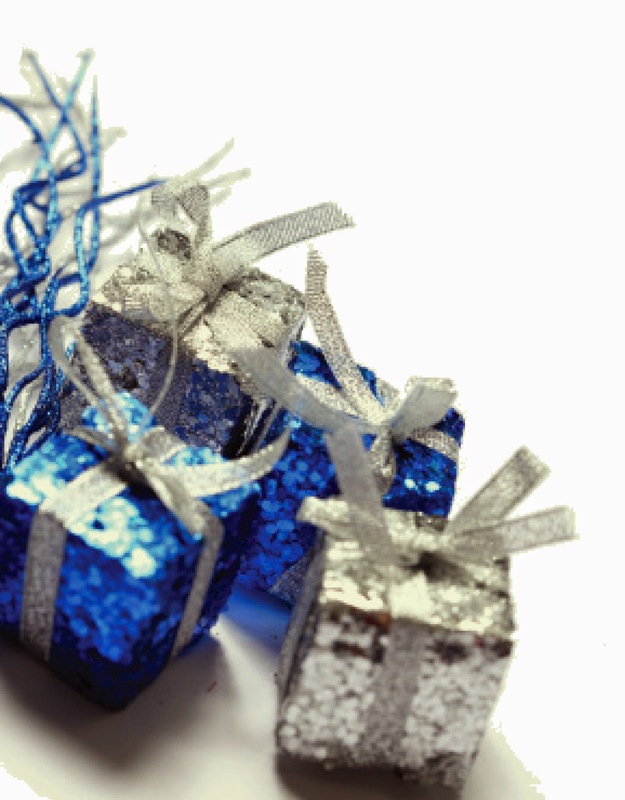 Invite friends and family to celebrate Chanukah together. Peter Yarrow of Peter, Paul and Mary wrote these words in a song that cried out for the pain of his ancestors. He could not have drawn upon a more beautiful or pride-enhancing symbol. 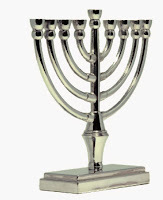 Tomorrow night, the first night of Chanukah, Jews around the world will light one candle on their menorahs to commemorate the Maccabee victory over the Syrian-Greek Hellenists and the miracle that occurred with the rededication of the Temple (one day’s worth of oil lasted eight days). 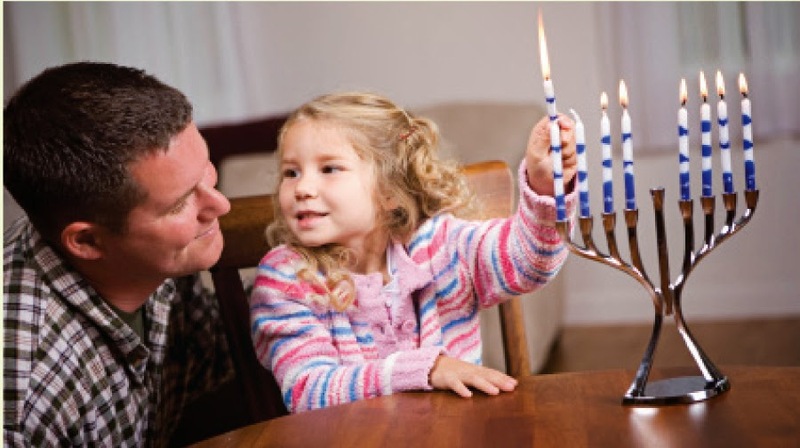 And while publicizing the miracle through the light of the Menorah is the definitive mitzvah of Chanukah, lighting candles has far greater significance in Jewish life than just this holiday. Tonight, as on every Friday night, Jewish homes worldwide will be illuminated with the beautiful light of the Shabbat candles. The Hellenists tried to prevent the Jews from sanctifying Shabbat. But, as Hellenization (read assimilation) became an increasingly greater threat, some of the Jews (Maccabees) fought back. On Chanukah we place the menorah in a window or doorway facing the street, to announce to the world that not only have we survived as a nation (a miracle of history, in and of itself), but that our beliefs and our values have survived as well. This post is retreated in honor of Chanukah. Remember to recite havdallah before lighting the menorah on Saturday night. When the Syrian-Greek soldiers demanded that the Jews of Modi'in sacrifice a swine to one of their gods, Mattitiyahu, a priest from the Hasmonean family, refused to allow this desecration to take place and slew the Jewish heretic who volunteered. Mattitiyahu, together with his sons, also attacked the Syrian-Greek soldiers. They won that battle, but they were forced to take refuge in the hills. Mattitiyahu's sons became known as the Maccabees. Under the leadership of Judah the Maccabee, the Jews launched a guerilla war for freedom. In 165 B.C.E., the Maccabees finally succeeded in routing the vastly superior Syrian-Greek forces and retook the Temple, but by then the Syrian-Greeks had thoroughly desecrated the holy site. The Jews immediately set to work removing the alien idols, scrubbing the altar and performing the many tasks necessary to rededicate the Temple. Unfortunately, there was no undefiled oil left with which to light the golden menorah. The Jews searched for sealed jars of pure oil, and finally found a single flask with its seal intact. They rejoiced and hurried to light the Menorah and rededicate the Temple. But it was only one flask of oil, good for only one day. It would take at least another week for fresh pure olive oil to be prepared and delivered. Not wanting to postpone performing the mitzvah, they decided to light the Menorah with what they had--and the miracle of Chanukah occurred. 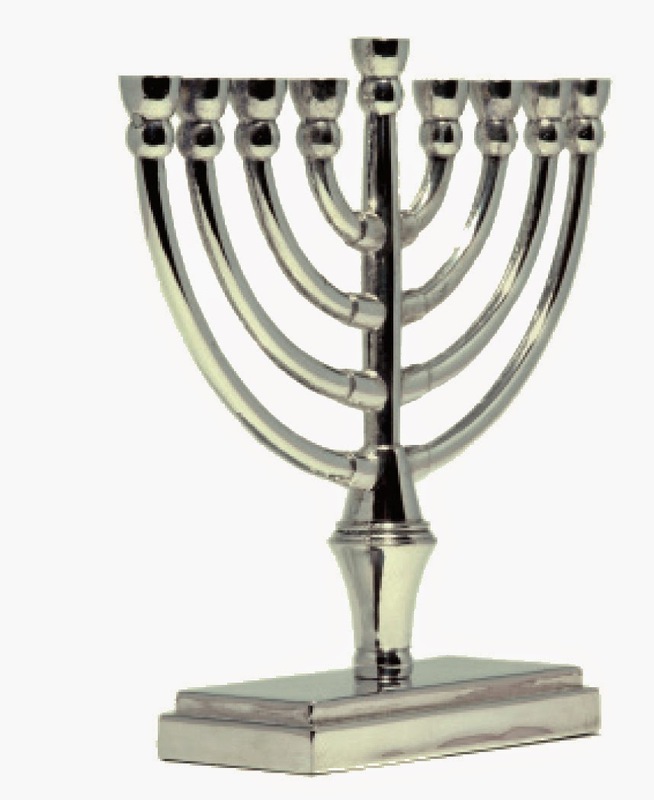 Despite the small quantity of oil, the menorah remained lit for the entire eight days, announcing to the world that God's presence had returned to the Temple. Let your chanukiyah express your own personal style. 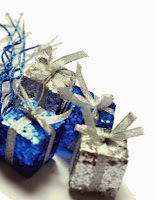 The correct answer is C. While the customs of Chanukah include eating latkes, giving monetary and other gifts and playing dreidel, the primary mitzvah of Chanukah is to light the menorah and display the lights, thus publicizing the miracle when the oil in the menorah in the Holy Temple burned for eight days instead of one. 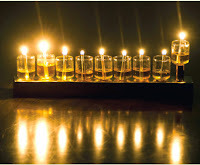 In order to make certain that the lights are visible, the menorah is lit after dusk. (There are two opinions regarding the correct time to light, so please consult your local rabbi.) 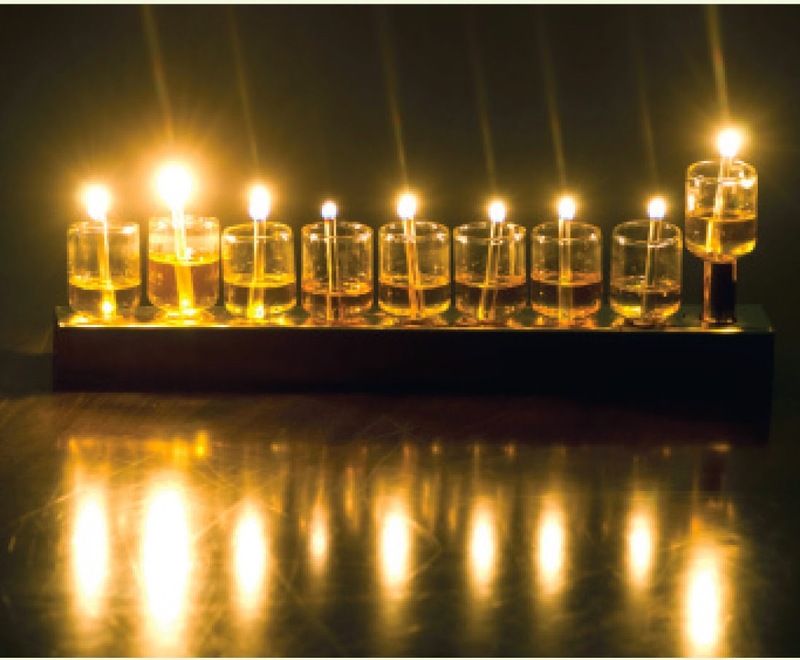 On Friday evening, however, the menorah is lit before the Shabbat candles and extra oil (or longer candles) are used so that the Chanukah lights remain lit after nightfall. If there are still people in the street or in the apartments of a facing building who would see the lit menorah, it is permitted to light and say the blessings. Please be sure to review fire safety procedures with your family. Chanukah is in less than a week. Make certain you have everything you need to celebrate. It is a well-known custom that Jews wear white on Yom Kippur in order to reflect the purity of angels on that holy day. It is a lesser known custom that Jews wear white at the Passover seder (among Ashkenazim, it is often only the head of the household who does so). It is a far less known custom for Jews to wear white to honor Shabbat. The custom of wearing white is kabbalistic in origin. It was a teaching of Rabbi Isaac Luria (The Arizal, 1534-1572), who taught that the color that a person wore on Shabbat would be the color that person wore in the World to Come. The Arizal also specifies that at least four of the regular garments of Shabbat (based on 16th century clothing) should be white. The Arizal strongly suggested that one should not wear black, a color associated with exile and mourning, on Shabbat. Dressing in white on Shabbat, never seems to have gained universal acceptance. The custom was, however, popular among many Sephardic and Chassidic communities, and some still maintain this custom today. There are many individuals who have made it their own custom to wear at least one prominent white garment on Shabbat. As for black garments, over time the color has lost its negative implications, and many Torah scholars of the modern age specifically wear black suits. Others, keeping in mind the kabbalistic implications taught by the Arizal, make it a point to wear dark blue or dark grey suits instead of black. Wear something special in honor of Shabbat. When Harold Maurice Abrahams was born on December 15, 1899, movies were short, silent and black-and-white. It would have been impossible to imagine that this newborn baby boy would one day be the subject of a full-length color film that featured an Academy Award winning score. Chariots of Fire (1981) brought to the screen the story of a young Jewish athlete whose perseverance and determination overcame anti-Semitism and class bias to bring him to Olympic gold. After serving in the British Army during the First World War, Abrahams attended Cambridge University. The child of an athletic family, he joined the track team and excelled at sprinting and high jump. In 1920, he attended his first Olympics (Antwerp), but did poorly. At home, however, he continued to demonstrate athletic prowess. In a highly controversial move, Abrahams hired Sam Mussabini, a professional coach, to help him improve his skills. This was unheard of among British amateur athletes at the time, but Abrahams ignored the remarks of others. At the 1924 Olympics, he won gold for the 100 meter sprint and silver as part of the 400 meter relay team. The next year, Abrahams broke his leg on the high jump, and his physical athletic career came to an end. Trained as a lawyer, Abrahams turned to sports journalism and became a well-known sports writer and broadcaster. Abrahams’ full influence came, however, as chairman of the British Amateur Athletic Board (1968-1975). In this capacity he was able to guide young athletes to follow his success. It is interesting to note that Abrahams' two brothers were both honored for their involvement in athletics. His brother Sir Adolphe Abrahams was considered the founder of British Sports Medicine. His other brother, Sir Sidney Abrahams competed in the long jump and served as the 26th Chief Justice of Ceylon. Harold Abrahams passed away on January 14, 1978. Take time to take care of your body. The Book of Genesis contains many genealogical lists–the descendants of Adam and Eve, the descendants of Cain, the descendants of Noah, etc. In addition to chronicling the complete family tree of the Jewish people, the Torah also includes genealogical charts for Ishmael and Esau, children of the forefathers who did not become part of the Jewish people. At the end of the chapter dedicated to the children of Esau, there is a seemingly strange concluding sentence: “He is Esau the father of the Edomites” (Genesis 36:43). The peculiar use of this defining pronoun “He” (Hu in Hebrew) is noted and commented upon in the Talmud: “He is Esau, the same in his wickedness from beginning to end” (Megillah 11a). This grammatical structure - he is so-and-so - implies an unyielding personality trait. There are several examples of other wicked people for whom this structure is used: Achashverosh, the king during the time of Esther (Esther 10:1), Datan and Aviram, the rebellious Israelites who followed Moses out of Egypt (Numbers 26:9), and King Ahaz, a king of the southern kingdom of Judah who turned to idolatry and sacrificed one of his sons to Moloch (II Chronicles 28:22). Strive to fill your life with kindness. Many people do not realize that Lancaster, Pennsylvania, home to the famous Amish community, was one of the few active Jewish communities during the colonial era and has the fourth oldest Jewish cemetery in the United States. The Jewish cemetery, which is now owned and cared for by Congregation Shaarai Shomayim (established 1856) has at least five tombstones that date back to the earliest days of the nation. One of these early tombstones belongs to Joseph Simon, who appears to have been the leader of the community. Simon was a merchant who dealt in trade with the Native American tribes in the area. He arrived in Lancaster sometime before 1735. Although it is not known exactly when he came to prominence, he is noted for his dedication to the Jewish community, opening his home for regular services. He owned two Torah scrolls and a portion of the ark (cabinet) in which he housed them now belongs to the American Jewish Historical Society. In 1747, Simon and Isaac Nunas Ricus were granted a deed in trust for the Jewish community for the land that would become the cemetery. The Jews of Lancaster sided with the colonial army. They provided supplies, weapons and provisions. What became of the community after the war, however, is a little less clear. After Joseph Simon’s death in 1804, the community disappeared until the mid 1850s, when new Jewish settlers arrived. The close relationship of the Lancaster Jews with Congregation Mikveh Israel in Philadelphia lead many to speculate that many moved there. The new settlers who arrived founded Shaarai Shomayim and took custodianship of the cemetery. Degel Israel Congregation was established in 1895 and Temple Beth El was established in 1945. These congregations continue until today. On December 12, 1787, Pennsylvania became the second state to ratify the Constitution. When travelling in the states, make it a point to visit Jewish historical landmarks. Today, December 9th, has been designated as International Anti-Corruption Day. Corruption is a terrible blight on organized civilization. Anyone with even a small amount of power, can misuse that power to cause great harm. Using one’s position to improperly influence others is especially common. Corruption, such as placing an unqualified relative or a friend in a job without proper authority or oversight or accepting bribes, undermines the society in which we live. Corruption is not a recent problem of the modern world, but a problem that has impacted every era of history and almost every culture. The words of the prophet Isaiah, who spoke out against the corruption of Jerusalem during the era of the First Temple, powerfully capture how far society can fall: “How is the faithful city [Jerusalem] become a harlot! She that was full of justice, righteousness lodged in her, but now murderers. Your silver has become worthless, your wine mixed with water. Your princes are rebellious, and companions of thieves; every one loves bribes, and follows after rewards; they judge not the fatherless, neither does the cause of the widow come before them” (Isaiah 1:21-23). 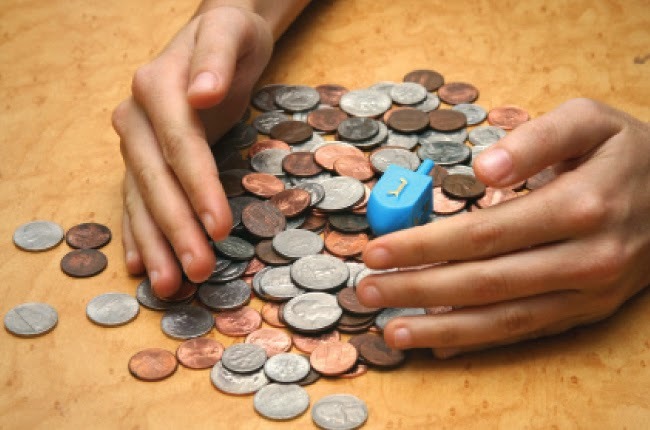 Throughout both the written and the oral Torah there are numerous laws and strictures meant to warn against corruption. The Torah particularly stresses the issue when it pertains to judges. Indeed, even complimenting a judge on the day of one’s trial is reason for the judge to recuse himself from the judgment. Additionally, there are a host of laws against corrupt business practices and laws against those who try to corrupt the Jewish faith. While many of us may not be in positions of power or authority, there are many ways that we can become more sensitive to our improper actions and prevent corruption. Of primary importance is to always follow the law precisely and never allow yourself to rationalize why you or someone close to you deserves to be above the law. Put aside all thoughts of politics or business and enjoy Shabbat. Be respectful to your older siblings. The Seas say: "More than the voices of many waters, mightier than the breakers of the sea, God is mighty on high" (Psalms 93:4). The Snake says: "God supports the fallen and straightens the bent over" (Psalms 145:14). Perek Shirah was printed early in the printing revolution, around 1576, when it was included in the liturgy. * There are references to it as far back as the 10th century. Many rabbis attribute great merit to reciting Perek Shirah, and some believe that reciting it for 4 consecutive days can help change a negative decree into a positive one. *It is not generally included in the liturgy anymore. When admiring nature, take the time to express gratitude to God for the world's beauty. While Ecuador does not have a large Jewish population, (there are fewer than 400 active members of the community), its history mirrors that of many South American and Central American Jewish communities. The first Jews who lived in the region now know as Ecuador arrived with the Spanish and Portuguese settlers. These Jews, however, kept their identities secret, living as conversos in fear of the Inquisition. Many of them settled in remote villages, far away from prying eyes. By the beginning of the 20th century, there were only four families in the country who publicly identified as Jews. This increased to 14 families by 1917. By 1950, however, there were close to 4,000 Jews, as European Jews fleeing rising anti-Semitism started arriving in large numbers in the 1930s. Ecuador was one of the last South American countries to close its doors to immigrants. Eventually, however, Ecuador determined that it could not accept any more foreigners. It was particularly problematic to the government that many of the Jewish refugees arrived on visas specific for agricultural occupation but ended up as merchants, businessmen and industrialists. To be fair, many did try to fulfill their agricultural obligation but failed in their endeavors. In the early 1950s, when the Jewish population of Ecuador was at its largest, the Ecuadorian government passed a law requiring all foreigners to prove that they were working in the occupation listed on their visas. While the community is small, and struggles with high rates of assimilation and intermarriage, their community infrastructure remains strong. The majority of Jews live in the city of Quito and are connected to the Asociacion de Beneficencia Israelita. Most of their children attend the Colegro Experimental Alberto Einstein, a college preparatory school that includes Hebrew and Jewish studies. The school is so well regarded that many upper class, non-Jewish Ecuadorians choose to attend as well.